The digital age has proven that articulation of resistance can be powerful and poetic, and just as easily witty, sassy, and fiercely funny. Take for instance, a still photo from a scene of the cult classic series, 'Saved By the Bell'. In it, characters Samuel “Screech” Powers and Kelly Kapowski are sharing a milkshake. Juxtaposed in pale yellow lettering is a quote by feminist scholar and social activist, bell hooks. Photo: tumblr In 1989, NBC Universal introduced viewers to Zach Morris and friends as they navigated the halls at Bayside High. The show followed the group of friends grappling with the woes of high school life in a light-hearted manner. If they ever touched on serious issues like drug use, women's rights, and homelessness, it was always in a subtle and palatable way. So hearing a reference to this show in the same sentence as activist and author bell hooks would seem unlikely. hooks has devoted her work to focusing on intersectional topics of race, class, gender, and capitalism. Through her feminist theories, hooks calls attention to dismantling the notion of power in which, for one group to be seen as superior, another must be inferior. In doing so, she explores the significance of restructuring the feminist movement to be inclusive of all genders, and aims to acknowledge, analyze, and abolish the power structure that marginalizes minorities of all kinds. How could the worlds of hook's feminist theory and Bayside High School collide? Furthermore, why? In order to understand you need to know the mind of Liz Laribee. 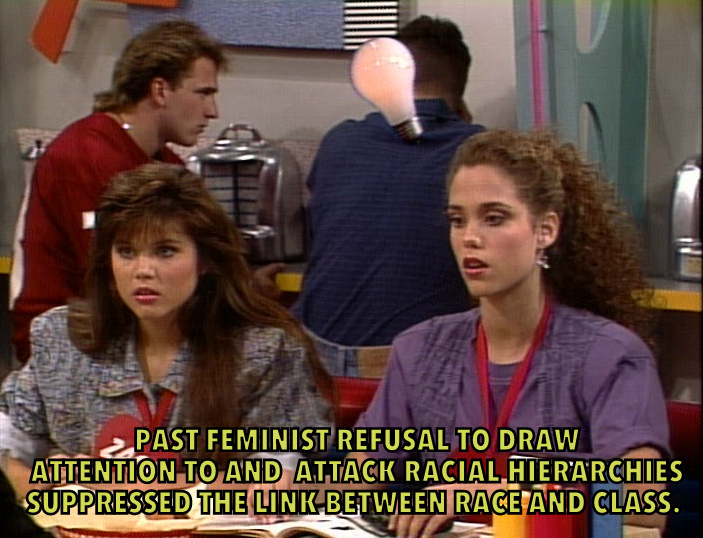 Photo: tumblr When Laribee, the author behind saved by the bell hooks, began her social experiment, she didn’t anticipate the blog's now massive following. Drinks led to a discussion of representation in media and pop culture. That discussion led Laribee to the Internet, challenging critical theories, sparking dynamic discussions, and making clear the significance of intersectionality. Photo: tumblr 4. Why bell hooks specifically? Is there something that she does for you that other feminist writers don't? Are there, particularly in this transitional moment in America's history, points that you think millennials relate to? bell hooks’ works were perfect for this project for two reasons: the first being that just practically speaking, her name works for mashing up with Saved By The Bell. The second and more meaningful reason is the content of her writing. She is best known for her writings on intersectional feminism, specifically on the ways that race, class, and gender play roles in the systems that perpetuate oppression. 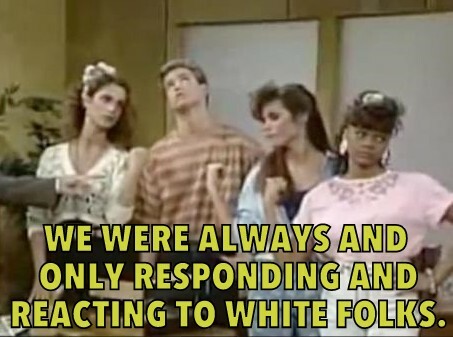 Many of these systems of oppression go unseen by people they don’t experience the oppression, including 11-year-old Liz Laribee watching Saved By The Bell for six hours a day. That SBTB was a normal element of my upbringing, and that that is the case for almost everyone I know, I found its juxtaposition with hooks’ biting criticism particularly compelling as a mirror. hooks’ writings, among others, speak to a school of feminism (intersectionality) that is gaining traction among millennials. Her examinations of patriarchal white supremacy in media produced by the dominant culture are especially relevant in the way that media is consumed by millennials. Through the platform of Tumblr, for example, memes that critique the dominant culture are as easily accessible as those that perpetuate it and are oftentimes juxtaposed in the newsfeed. Unbarred access to diverse narratives has become the preference for many millennials; diverse ensemble shows like Orange Is the New Black and Master of None feel like a breath of fresh air. So too does the frustration with older institutions like the Oscars obscuring the critical work of people of color in the film industry. Photo: tumblr 5. Is racial identification a thing that comes up for you in relation to the blog? My own racial identification isn’t the focus of the blog other than through an examination of my own privilege. But the topic of race is critical to why the blog might matter to anyone: we can’t realistically address feminism without considering race (as well as class). The post that’s been shared the most often, by far, is one whose caption reads “Contemporary black women felt they were asked to choose between a black movement that primarily served the interests of black male patriarchs and a women’s movement which primarily served the interests of racist white women.” That idea’s popularity speaks to a failure on behalf of feminist and racial justice efforts in our history. Progress can’t be made when the tools of that progress undermine the basic needs of the people it purports to aid. 6. Many of today’s youth are learning a lot about the world on the internet and on television. The rise of reality TV has been debated as painting a picture of a false reality. As it relates to feminism, how do you think reality tv dating shows like “The Bachelor” or “Flavor of Love” are detrimental to feminism and what do you think it reinforces about oppressive patriarchal structures? Shows like The Bachelor construct microcosms of my very worst fears about love: I am a collection of the assets I wear with my physical body, in fanatic pursuit of a stranger who has been selected FOR me as my ideal partner, measured by how well I perform in competitive antics completely outside of my own talents and interests, and the success of other women serves as the gauge of whether I will have failed. These shows reinforce the meritocracy that tells women they are commodities for consumption, tells men that our expectations of them are painfully low, tells outspoken personalities that they will be given a narrative of mental illness, tells people with mental illness that they are risks to avoid, and tells people of color and single mothers that they will be voted off by the fourth episode. They reinforce that achieved love, won love, love worth a television series, is for straight, thin, able-bodied, white, unmedicated, rich people. This is a harmful narrative. Photo: giphy 7. However you identify, you do a lot of championing in general, your empathy and emotional intelligence is immediately transparent. Is this what allyship in general looks like to you? What do you think of that term? Is it even one you use? It’s very important to me that I identify with the work of an ally, and I believe the term comes with specific responsibilities: examining my own inherent advantages, challenging injustices that I see around me, committing to help educate other white people. It’s critical that I speak up when I encounter problematic scenarios. It’s critical that I don’t posture myself as the leader of a movement about and for other people. It’s critical that I don’t talk like I’ve just discovered racism. It’s critical that I don’t make it the responsibility of POC to educate me. It’s critical that I claim my own hangups, hesitations, and mistakes. All of this requires that I keep reading, listening, and learning. I have particular interest in reading black feminist perspectives on media and culture studies: Kimberlé Crenshaw (who coined the theory of intersectionality), Angela Davis, Audre Lorde, Shirley Chisholm, Bree Newsome, etc. The more I read, the more ability I gain to recognize problematic patterns in past and current headlines: intergenerational poverty, housing discrimination, a predatory justice system, and racial profiling have robbed us of a nation worthy of our proclaimed Constitutional ideals. Photo: tumblr Today, Liz stays committed to challenging the flawed social constructs that have molded much of the life we live today and bringing those issues to the forefront for others in her network online and off. 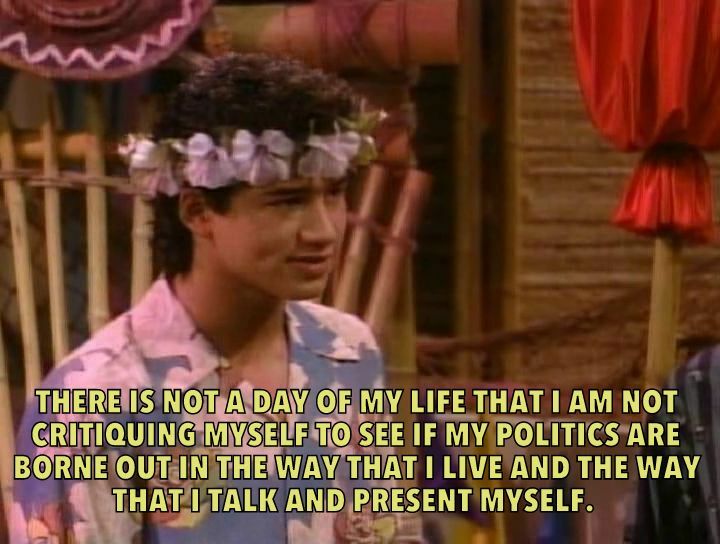 Following the popularity of "saved by the bell hooks", Liz's knack for a good pun carries on in the sideshows tab of her Tumblr where mashups like Dolly Parton Luther King Jr. and Neil Degrassi Tyson feature more narratives from powerful voices in media and entertainment alongside poignant images from pop culture television shows. 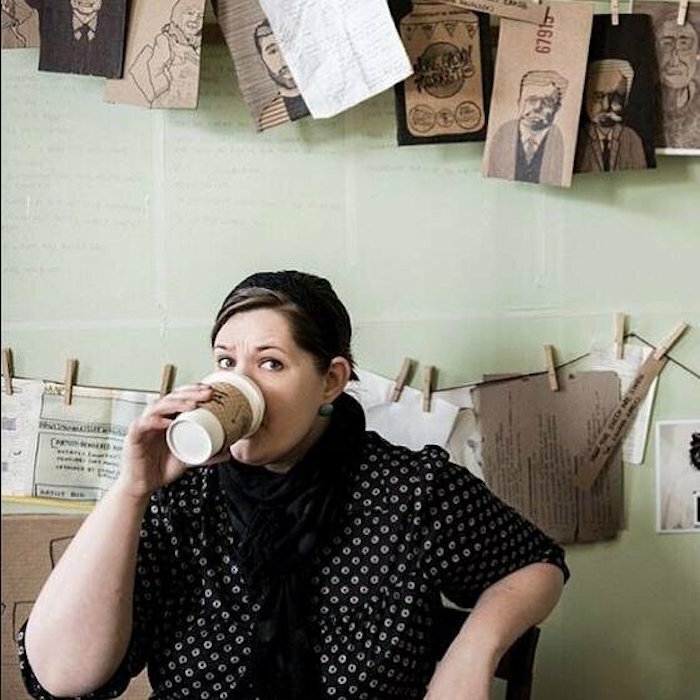 When Laribee isn't online she functions as an artist, illustrator, and founder of The MakeSpace Art Collective which is dedicated to showcasing the work of artists in the Harrisburg area.